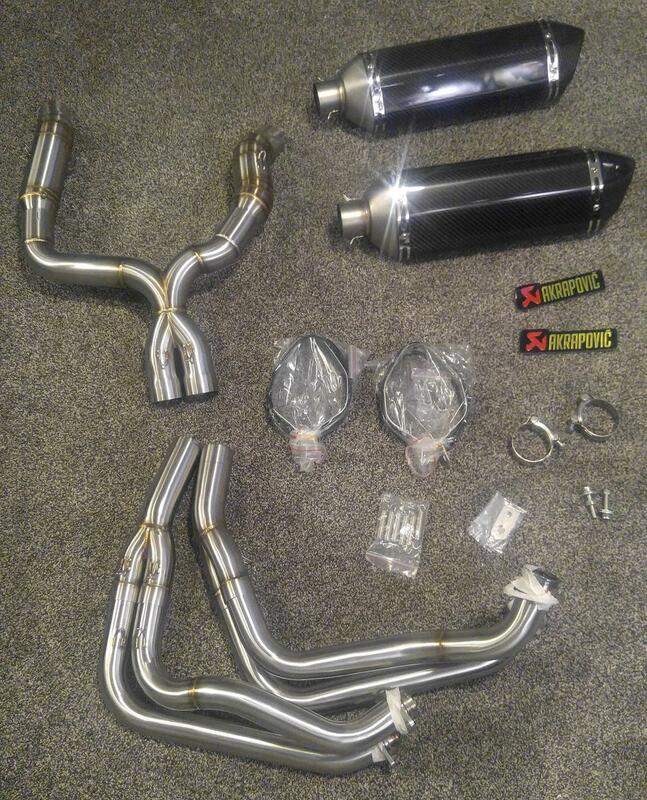 Does anybody have any experience with Akrapovic Replicas that are coming from China? You can get a full system for about $330 to $600 with shipping(depends on the seller). 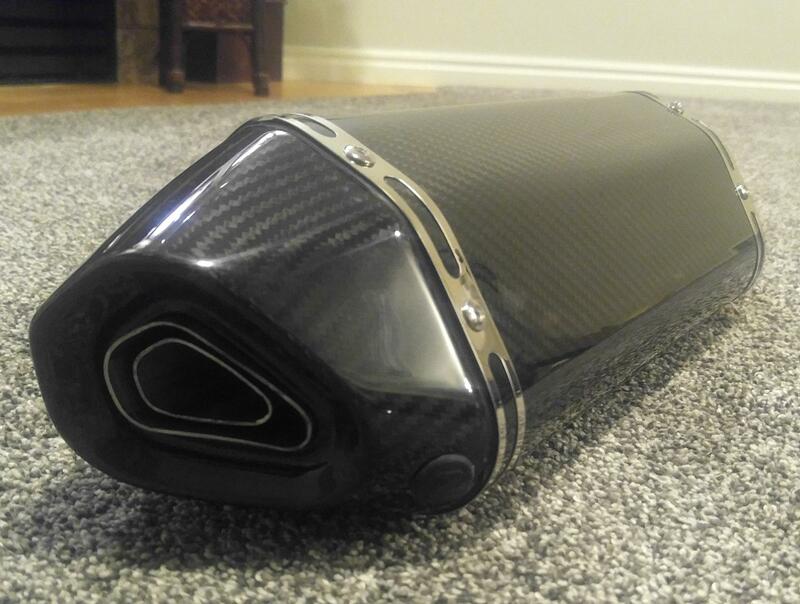 All depends on the quality of carbon fiber. Post pictures and reviews if you got them. Last edited by Deadline; 11-07-2017 at 03:30 AM. So since nobody relied to my original question I went ahead and bought the system myself. It came from Singapore and was around $550 with shipping. Took about a month to arrive. What are you thoughts based on how it looks? I will be installing it within a week and can use some tips on how to do it right. 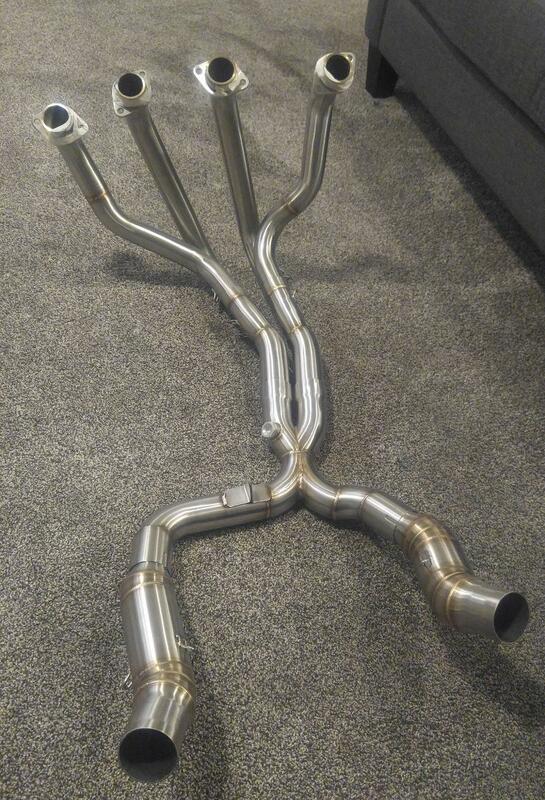 For example, someone mentioned to me to put grease on the headers pipe sections to prevent it from sticking to each other at high temperatures. WD40 was also recommended for the same reason. Is that accurate? Keep us posted on the install and maybe a sound clip. Looks like I will have to push installation to first week of April as I am lining it up with a DYNO and ECU flash that will take place right after the installation. Not sure what year your Z is, but on the 4th gen it is very easy to remove the tank and swap filters - done in 15-20 minutes. Don't you need to remove all the fairings, lift the tank up and take the airbox apart? Its going to take me way longer then 15 minutes to do that. Especially since I had not done it on this bike before. go ahead with filter.. i had bmc on my 2010 and have dna filter on my 2015.. its more taking off plastics on the 4th gen as you have to remove tail fairings to have the tank lifted up.. you need power screw driver and allen keys.. and yes takes 10-15 min the most..
make sure to get the copper gaskets for the header.. they are made for 1 use only or you will hear ticking on your bike.. more pronounced.. i have swapped oem, cs and full akrapovic dual on this bike.. its easy..
Who sells them? And can anyone else speak about this subject?